What has more value? What is more appealing to you? 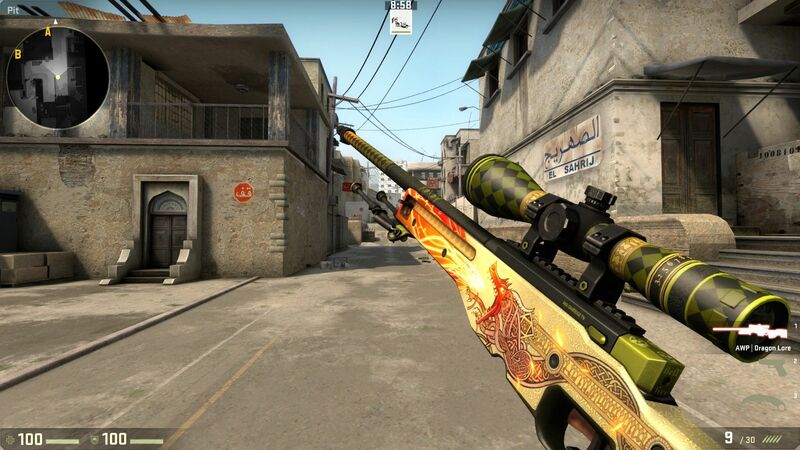 If we turned around and offered you a $1,500 AWP Dragon Lore or the equivalent in cash, which would you pick? I’m not going to talk about how important real cold hard currency is compared to an in-game item. 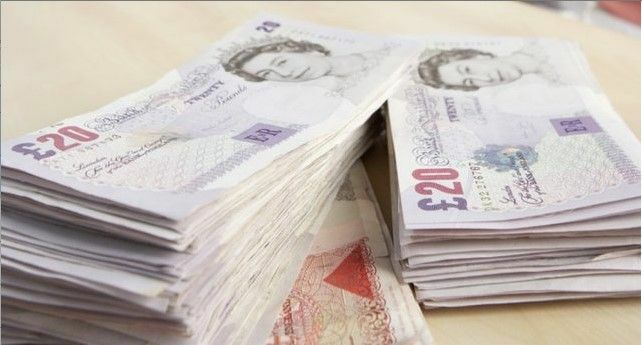 You know money makes the world go round: it dictates the sort of lives we lead, how we spend our social time and how we can support our loved ones. Recently I took it upon myself, out of my own pocket, to have a go at CSGO Jackpot gambling. As a semi-pro sports punter I skimmed a tiny amount out of my bankroll and purchased some skins. My old friend HenryG started a site called Ezskins, so that would be my stomping ground from now on. I started with a few tiny bets ($1-2) and on my fourth try, I won $103 from a $2 bet. Madness. Two pots later I made a $9 bet and won $111. From eight bets totalling $20 I’d made $195 profit. The major issue here however was that I now had 100 odd items in my inventory, all worth between $0.03 and $30. I had a couple of items worth $30: the remainder were all garbage that I couldn’t sell to anyone. Who’d want to buy my unappealing skins? I was left with two: choices: either gamble my useless skins hoping to win something decent and keep my shiny $30 items, or try to sell everything. Selling would be a mission and require time and effort to list each item, which would then sold at a massively undercut price compared to their market value just in order to flog the item to recoup some cash. I decided to gamble it all. Six spins later, it was gone. Persistence would be the key. I kept chipping away at the $30 max bet game, losing far more than I won. Don’t get me wrong: I had some epic runs of good fortune, including making over $4k in a night. I had an inventory with 14 knives and $250 AK/AWP skins. When this happened I made a very wise decision to shut up shop, sell my items at a cut price and enjoy the cash monies. My adventure into skin betting left me with a tiny profit: was it worth it? I don’t know. I got to experience what it’s like to bet with skins and for the odd moment here or there, it was actually fun. There is a far darker side to all of this that I discovered once I started playing the elite pots, which had no maximum limit. At the height of my winning spree I decided to gamble on the elite table with an average stake of $80-150. I met a guy, who will remain nameless, who I teamed with (this is quite a normal concept: if I won I’d give him the skins that I’d just won from him back, if he won, he’d do the same). It went well. He saved me a fortune in losses, he kept winning and I kept losing. One night he won close to $5k and I went to bed happy for him. I told him I was quitting and cashing out. I woke up the next morning and decided to check his inventory but it was empty. Unsurprisingly he’d lost it all betting whilst I was asleep. When I spoke to him I didn’t bring that subject up as I’d imagined he’d be hurting from such a defeat. Periodically I’d check up on him. One day he’d have M4 Howls, M4 Knights, AWP Dragon Lores. You name it, he had it. Within 12 hours they’d be gone, never to be seen again. He kept begging me to sell him a knife at half the value of the Steam Marketplace. I politely declined. All types of skin gambling, be it on CSGO Casinos, jackpots, or even CSGOLounge is causing a disturbing trend of people who look up to the likes of cAre. cAre, if you aren’t familiar, has the biggest inventory in CSGO. Every rare item in immaculate condition. He’s a collector, but also a gambler. At last count his inventory was worth $235k. Almost a quarter of a million dollars. Everyone wants to be like him. Kids will spend their savings on skins, get lucky and make 500% profit on their investment, then risk everything at a super high stakes game where $5-20k bets are normal. I worry about the mindset of these people and I worry massively that these guys are introduced to gambling like this from a very early age. Valve doesn’t help matters by having the Steam Marketplace embedded into their game where anyone, without age verification, can purchase and sell skins as they please, with Valve taking a chunky cut from each transaction. On top of this, there is no age verification on these third party websites. One of the biggest issues here is streamers. Honest, hard working streamers who work all day every day to please their fans (and earning a pretty penny doing so!) deciding to gamble. More and more streamers are cutting down on game time just so they can stream themselves gambling. These jackpot sites will hand these streamers thousands of dollars worth of skins just to bet on their site via their stream for excellent publicity. mOE is a former player turned gambler. He occasionally plays games but he’s more interested in gambling and so are his fans. He has all the symptoms of a problem gambler, regularly making massive bets, losing and not taking it well. He “rage bets” in order to get back his losses: classic symptoms right there. Here’s a video of him getting banned from CSGOJackpot, which to their credit, was a measure they put in place to encourage him to gamble responsibly – he’s genuinely upset and angry. Streamers such as mOE normalize the black market gambling and young, impressionable kids take note of what he’s up to and depressingly, aspire to follow in his footsteps. We need to put a stop to this once and for all. These sites are so powerful and could easily attempt to educate younger audiences as to the risks attached to what they’re witnessing. The buck stops with these websites: they need to tackle under-age gambling and employ some responsible gambling care towards those who require it. We’ll be sticking to real money wagering where the operators are licensed and regulated, such responsible gambling initiatives exist, age verification is a given and you know your money is safe. If you fancy a flutter in the Casino, we recommend bgo or Karamba. If you’d prefer to bet on matches, you’ll find recommendations of which bookmakers to bet with on CSGO matches throughout our website.